I began "experimenting" a few years before you, Stana. I used the justification of a taller sister, I didn't think of a girlfriend! As I grew older, I also used Halloween as justification to cross dress. My favorite part was putting on all the makeup but I did tend to go over-board. While I did hide my female clothes from my family (which was a collection of absolutely everything!) unfortunately, I did not keep any Polaroids. I also purged many times (like so many others) and that was a sad loss. Sad. 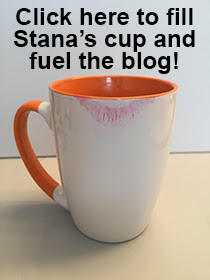 Keep posting, Stana, you are very good motivation to be sure! Keepsakes are so important, aren't they? It'so easy to forget what a precious and rare thing a photo was before we all had digital cameras. I sympathise with you over the lost Polaroids, but then you did have all those years of dressing up that some of us missed out on. Many is the time I wished for a chance to dress up properly, but here in Blighty, Halloween was not observed with such enthusiasm and the lack of information of any kind made it hard to get the desire to cross-dress clear in your head. I'm sad to report that on the one proper opportunity, I bottled out (though it was a close run thing). Ah, my mis-spent youth! I did, have some wonderful Polaroids! Unfortunately the ex had them admitted as evidence and destroyed them after our divorce (at least that's what she said). I can remember only so much, it would be really nice to have them to hold as I drift back through memory lane. Much like Joan above I lost all of mine to a divorce as well,It's like having your past ripped out of the scrapbook of life,a bit disturbing actually. Getting married back in those days seems like a logical and reasonable reason to purge. It is just sad that there were some momentos and memories that went out with your attempt to turn a new page as you entered marriage. I have recycled stuff from time to time and only once had a partial purge where one portion of my stash went out to the trash. 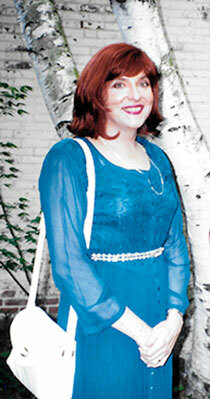 There was one blue dress that I wish I could replace but that was a style from 20 years ago that seems to keep eluding me.